BakerLile own and run THE ASBESTOS PARTNERSHIP (Asbestos Test & Management) and are accredited for all levels of Asbestos Surveying, including Management Asbestos Surveys (Formerly the Type 1 & 2 Asbestos Surveys) and Refurbishment & Demolition Asbestos Surveys (Formerly Type 3 Asbestos Survey). We are also accredited for the conducting, completing and consulting with reference to Priority Risk Assessments. A management survey is the standard survey. Its purpose is to locate, as far as reasonably practicable, the presence and extent of any suspected asbestos containing materials (ACMs) in the building which could be damaged or disturbed during normal occupancy, including foreseeable maintenance and installation, and to assess their condition. The survey will usually involve sampling and analysis to confirm the presence or absence of ACMs. 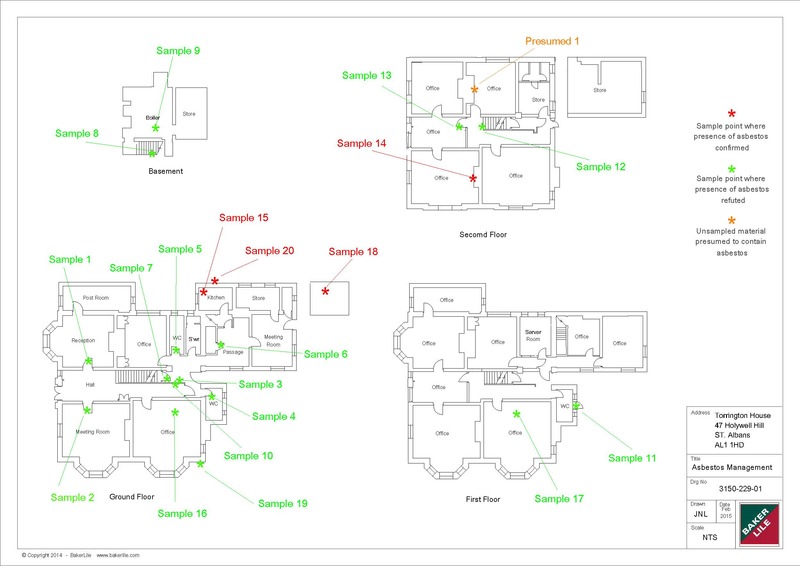 Any samples are then analysed by a UKAS accredited laboratory and the results are used within the survey report together with appropriate recommendations. This type of survey is used to locate and describe, as far as reasonably practicable, all ACMs in the building and may involve destructive inspection, as necessary, to gain access to all areas, including those that may be difficult to reach. A full sampling programme is undertaken to identify possible ACMs. This survey is designed to be used as a basis for tendering the removal of ACMs from the building prior to demolition or major refurbishment, so the survey does not usually assess the condition of the asbestos. The Asbestos Partnership can also offer a consultancy service to assist with asbestos management. The cost of the survey will be dependent on the size and type of building. The experience and expertise of The Asbestos Partnership means that we will be able to discuss your requirements in detail and provide a competitive quote, offering genuine value for money. Contact our office now on 01606676005 to speak direct with an Asbestos Expert.